Until I am able to fix my computer correctly, I will only be posting to my blog as long as I can copy & paste; I will not be doing any events that will require me to download anything to my computer. So if the html is in the text of the email I receive that will be best. I won't be able to do any scheduled posts to FB. I will only be sharing from my blog. Sorry for any inconvenience this is causing regarding obligations I have made to help with releases and sales. However, I have had to reinstall the OS on my computer 3 times in two weeks. I don't know why it keeps crashing but pretty sure it is the CPU. Not downloading anything is the best way to minimize any problems until I can replace it. Thank you for understanding. 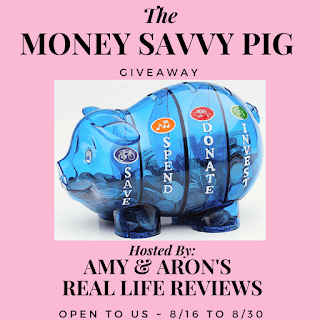 ~Prize~ One winner will receive their own Money Savvy Pig piggy bank of their choice (pink, blue, green or purple). 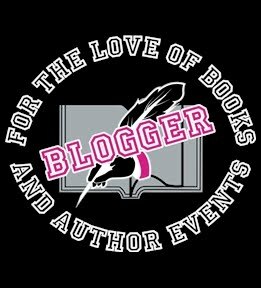 Thank you to all of the bloggers promoting this giveaway! I appreciate all of you for your hard work and helping our readers get really awesome prizes! Now for the fun stuff. This giveaway is open to US. There are daily bonus entries so please check back tomorrow. Share it with your family and friends, they'll want to enter to win too! !